Posted 10/31/2018 10:40am by Katia Lampe. Pickup for this large optional share will be on TUESDAY November 20 from 5:30 to 8:00pm. This will be a “stock up” share and will include various vegetables that store well, so that you will be able to enjoy produce from the farm well into the winter months as well as provide veggies for your Thanksgiving feast. The delivery will be one day earlier than your normal pickup day. 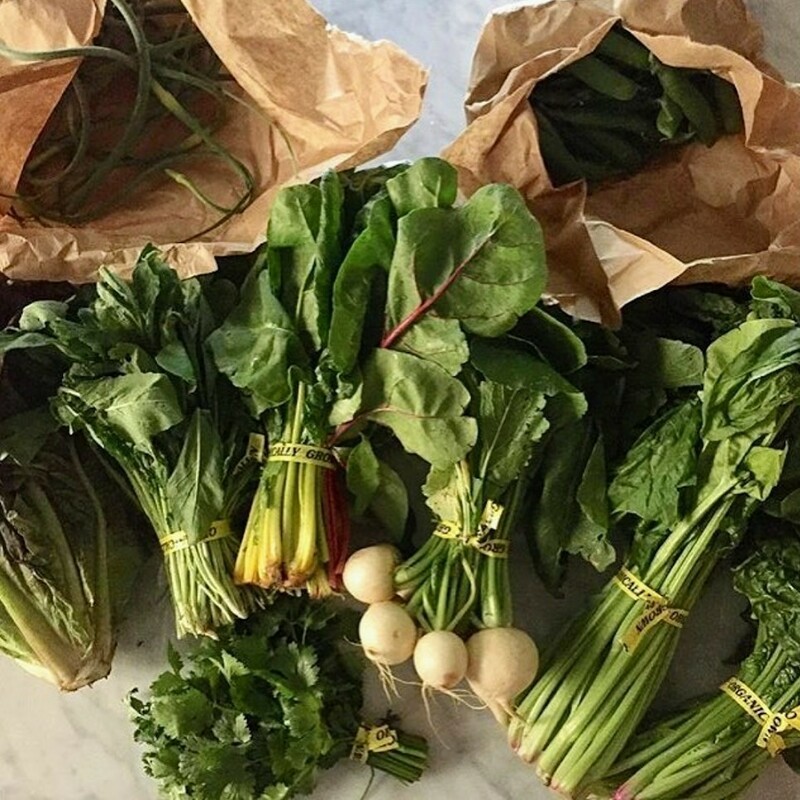 This will be a “stock up” share and will include various vegetables that store well, so that you will be able to enjoy produce from the farm well into the winter months as well as provide veggies for your Thanksgiving feast. The delivery will be one day earlier than your normal pickup day. The total weight of this share will be about 60 lbs. 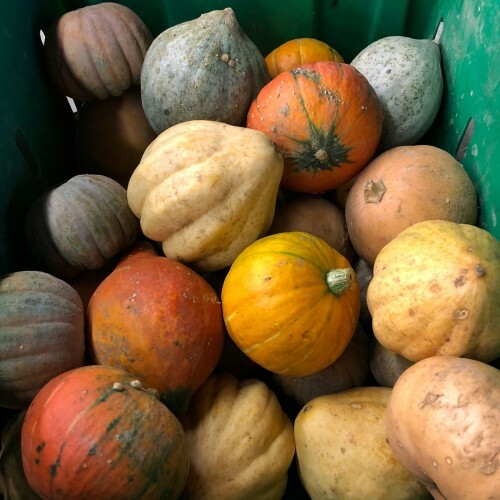 Approximately a third of the share will be winter squash- butternut, acorn, buttercup (kabocha), delicata, and sweet dumpling squash. The share will also include an assortment of root vegetables such as carrots, beets, parsnips, turnips, rutabaga and radishes. We will also be including Jerusalem artichokes aka sunchokes and another tuberous member of the sunflower family-yacon (pronounced jacone). It is sweet and juicy with a light orange color (carotene) and is similar to jicama. It can be grated raw into salads or cooked in stir fries for a water chestnut like crunch. The root crops will comprise about 15 lbs. of the share. There will also be about 15 lbs. of potatoes and onions in the share. The potatoes will include some fingerlings and an assortment of other varieties of potatoes. Also included will be green and red cabbage, and whatever greens we still have in the field at this time, such as arugula, broccoli raab or other mustard greens, kale, lettuce and spinach. It is probable that there will be broccoli and/or cauliflower and there will certainly be Brussels sprouts. The potatoes, onions and squash can be stored in a cool dry place such as an attached garage or enclosed porch, where they will not freeze. The root vegetables, greens and cabbage will best be stored in your refrigerator. The cost of this final share will be $90*, which is an excellent value, equivalent to a wholesale price for the produce included. I know that this final share will not work for everyone, but I hope that many of you will be able to participate. Doing so will help us to make use of the produce that we have in storage and utilize what remains in the fields. Normally the proceeds from the stock up share enable us to go into the winter months with money in the bank to pay the bills in January and February. This year however has been a financial disaster and the best we can hope for is to pay off most of the debt that has been incurred in the course of the season. *Sign-up and payment will be done at the pickup site each Wednesday until November 14. Checks are preferred (payable to Circle Brook Farm). 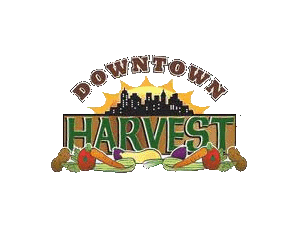 Checks can also be mailed to Downtown Harvest CSA c/o OLC, 120 Sussex St, Jersey City NJ. Stock up share payments must be received by November 14. If the name of the member is different from the name on the check, please write the member name in the memo section of the check. If you want both the Stock Up share and eggs, a single check for both is best.